Professor Dorota Iwaniec - List of books authored and editied. Books authored, co-authored and edited by Prof. Dorota Iwaniec. Dorota Iwaniec has carried out the longest ever study on failure to thrive, following up on 198 clinical cases over a 20-year period. This extensive practical guide includes numerous checklists and other instruments for use in assessments; four chapters on intervention and treatments, with a particular focus on multidisciplinary approaches; a comprehensive literature review alongside original research data; case studies drawn from the author's lengthy clinical experience. 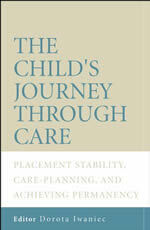 This book focuses on children's journeys through the care system, from voluntary admission into care, through complicated and often long court proceedings, in pursuit of Care or Freeing Orders. Problems that arise from taking cases through the courts are examined, together with tensions that may arise between judicial and social work decision-making. Emotional abuse and neglect are at the core of all types of child maltreatment, and have the most harmful effects on the physical and psychological development and well-being of children. Yet they are considered to be the most difficult to deal with by those who have the responsibility to protect and intervene in effective ways. The Emotionally Abused and Neglected Child, 2nd Edition offers both a sound theoretical basis and a practical guide for those working in the field of child protection. This second edition has been fully revised and updated with new topics added such as bullying, divorce, and domestic violence. 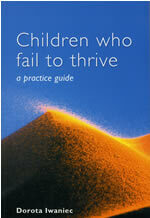 This is one of the first books written on emotional abuse and neglect of children. It provides comprehensive discussion about the problem, how to identify it, assess it, and provide help for interventions. 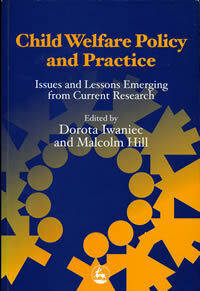 The book is written for practitioners, students, researchers and policy makers. Making Research Work demonstrates how research can be fostered and applied more effectively to child care policy and practice. 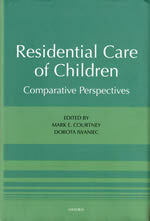 Drawing on a wealth of experience, current literature and government documents, the contributors present a comprehensive discussion of key contemporary issues relating to child care research. Recommendations are given for recognising and responding to both the fundamental and the specialist issues that challenge the various stages of the research process. This book published in the Polish language is the product of Queen’s University Belfast and Warsaw University academic working in the area of emotional abuse of children, exploring the effects of such abuse on children’s growth, development and well being. It compares Polish and British research findings and practice experiences.